It’s cold here in New York – and I’m hoping tonight’s wagers won’t leave me wanting to burn things. Barring a monumental error out of our champ, I won’t be too disappointed tonight. Our fight for second could be interesting, though. Alexander has it locked up, and can wager up to 9,400. Frederick should wager 2,400 to cover Emma. 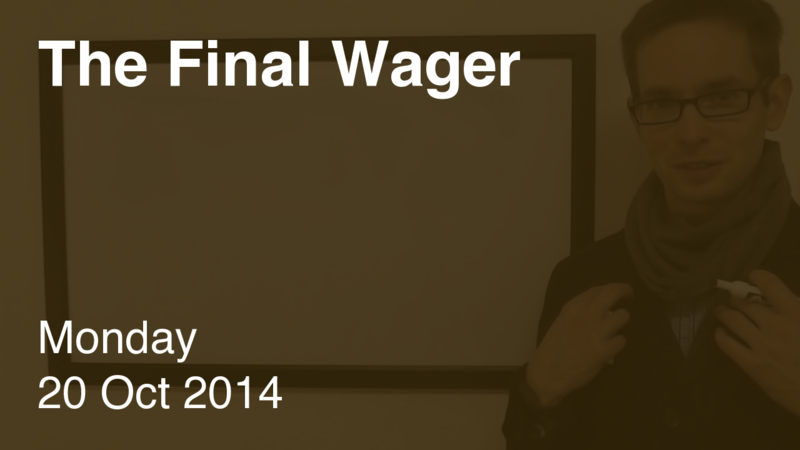 Emma should wager at most 1,600 – but make that 1,599 because she doesn’t hold the tiebreaker. 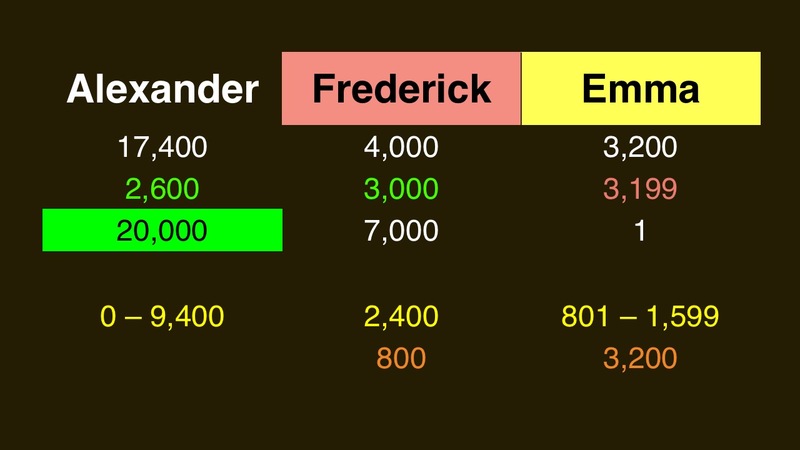 Emma should wager 801 to cover a zero wager by Frederick, and 1,601 to cover an “unsafe” wager by Frederick. The problem with this is she can’t wager both at least 1,601 and no more than 1,599, so she has to make a choice. If Emma wagers that 1,600 amount, Frederick could cover her with a wager of 800. This would also keep him from falling below Emma’s pre-Final total. Too much out of Frederick – he risked losing to a rational but incorrect wager by Emma.